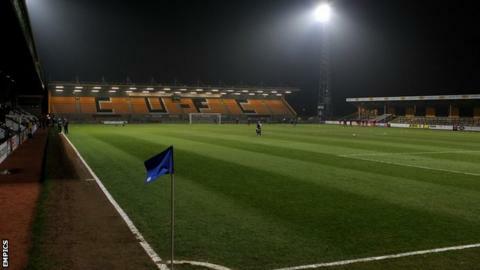 Cambridge United chairman Dave Doggett has dismissed fears the club are facing financial difficulties. Directors on the board had to put forward funds to cover February's wage bill and nine players left the Abbey Stadium during the transfer window. "I'm feeling more confident we're getting the club on to a better business footing," the U's new chairman Doggett told BBC Radio Cambridgeshire. "And that will eventually come across on the field." Doggett, a lifelong U's supporter, replaced Paul Barry as chairman last month after almost a year and a half on the board. Along with director of football Jez George, he has been attempting to scale down the club's wage bill. "This year, what we've budgeted for we won't quite achieve. But it's nowhere near where we were several years ago. It's all manageable," he continued. "When you lose matches in January due to postponements and when you only have one home match in February you're unlikely to generate enough cash to pay the wages. "It's not a surprise to directors and not a surprise to fans." Boss Richard Money has said he is fully behind the cost cutting measures and believes the benefits will be seen next season. "We had a good meeting on Monday. It's the first time I've met the board since I took the job," he said. "Between us we came out with a positive meeting. Jez and I have some big plans for this club. But we know they need to be within sensible financial restraints. "I don't think the full implications of what we did will become evident until the summer."